The high quality plastic bases have a textured upper surface to assist the application of adhesives. They also feature a neat chamfered edge. 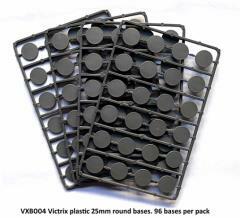 This sets contains 96 round plastic bases measuring 25mm in diameter.